“Her biggest wish was to be at my wedding." 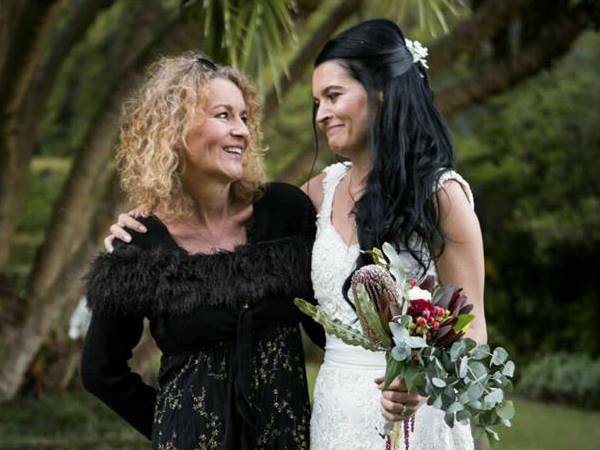 “You’ve got to endure the pain and take the good with you to the other side,” says Carina-Jayne Armstrong, formerly Roper, a few hours before her mother’s funeral in Somerset West on Thursday afternoon. “Her biggest wish was to be at my wedding. She clung to life and a few days after our wedding she let go,” says CJ, a photographer. She is involved with the Breaking Bread community development project which runs close to Cape Town in Observatory, Salt River and Woodstock. The organisation feeds more than 50 homeless people and runs holiday programmes for under privileged children. She inherited the kind-heartedness from her mother; that’s why she’ll keep ploughing back into the community in memory of her mother. Patricia Avery McGarry died on 2 May at the age of 57. CJ (36) and Martyn Armstrong (35) got married twice, once on 22 April in Constantia and then again on 29 April in Newcastle, England. Patsy, as her friends called her, managed to attend the Cape Town wedding. “She had oxygen in her room and was very weak. She needed a wheelchair to move around. Even though she was very sick she wore her makeup and put on a brave face,” recalls CJ. In the four months before her death she had a full-time carer. “My mom was so brave. Her cancer was in remission twice and then it just came back again,” says CJ. In 2010 Patsy was diagnosed with breast cancer and in 2011 she underwent a double mastectomy. After that the cancer was gone, until doctors found a brain tumour in 2014. It was removed and she moved from Musina in Limpopo. But then the cancer started spreading from the scar tissue where the tumour was removed. CJ says that medical experts told her that the reappearing cancer could not be removed because it would only grow back again. “My mom was determined to be at my wedding,” says CJ. Martyn was working for a tea company when they met each other in Observatory. CJ lost a daughter, Emma, at the age of just four and a half months due to what doctors called a cot death. But in spite of all the heartache she’s endured, CJ still thinks of others in need.